В© Copyright 2013 TRENDnet. All Rights Reserved. retailer, or reseller/distributor from which the product was purchased. 10 seconds and release to reset your router to its factory defaults. router LAN ports to your wired network devices. and to an available power outlet. вЂњOnвЂќ (Inner position) or вЂњOffвЂќ (Outer position). Power LED: This LED indicator is solid green when your router is powered on. Otherwise if this LED indicator is off, there is no power to your router. clients or wireless network devices connected to your router. received through your routerвЂ™s LAN ports. access, which requires a router. game consoles, and Internet cameras. вЂў Router: Connects multiple devices to the Internet. switch to add more wired connections. вЂў A router to connect multiple devices to the Internet. modem is not working contact your ISP to verify functionality. 3. Set up your router. See вЂњHow to setup your routerвЂќ below. see вЂњConnect additional wired devices to your networkвЂќ on page 10. InstallationвЂќ on page 8 for more detailed installation instructions. appear. If not type, http://tew-733gr on the address bar of your web browser. language. Enter the default user name and password and then click Login to continue. 2. Turn off your modem. 3. Disconnect the Network cable from your computer to your modem. On/Off Power Switch to the вЂњOnвЂќ position (pushed in). 7. Turn on your modem. internet connection type was detected. 6. Verify your wireless settings and click Exit to complete the wizard. Obtain DNS Server address settings automatically. please refer to the device label or wireless sticker on the unit for more information. along with using older wireless networking hardware (also called legacy hardware). accessing your network and network resources (personal documents, media, etc.). Note: This encryption standard will limit connection speeds to 54Mbps. type however are limited to 54Mbps. encryption connects your wireless network will then change to WPA2 encryption. WPA2 encryption, then set your router to either WPA or WPA-Auto encryption. appliances to verify the highest level of encryption supported. and click Apply to save the changes. 2. Click on Wireless, and click on Security. 3. Click on the Authentication Type drop-down list to select your wireless security type. вЂў WEP: Choose Open System or Shared Key. вЂў Mode: Choose HEX or ASCII. that can be used to create the key. вЂў WEP Key: Choose the key length 64-bit or 128-bit. given time. Most users simply define one key. o Choose a key index 1, 2, 3, or 4 and enter the key. First, from the Authentication Type row, select WPA, WPA-Auto, or WPA2. Authentication Dial-In User Service or RADIUS). 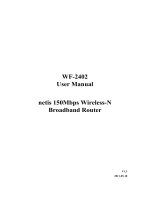 o When selecting WPA-Auto security, it is recommended to use AES. o When selecting WPA2 security, it is recommended to use AES. вЂў Passphrase вЂ“ Enter the passphrase. вЂў Confirmed Passphrase вЂ“ Re-enter the passphrase. o When selecting WPA security, it is recommended to use TKIP. вЂў RADIUS Server 1/2 - Configure the RADIUS server settings. any issues with RADIUS Server 1. Note: It is recommended to use port 1812.
easily add wireless devices to your network. Note: You will not be able to use WPS if you set the SSID Broadcast setting to Disabled. can click to activate WPS on your router. 2. Click on Wireless, and click on WPS. connect computers to the router using the traditional connection method. 5. Select PBC option to continue using WPS PBC method and click Next . This section outlines available management options under the Basic Wireless sub tab. 2. Click on Wireless, and click on Basic. 3. To save changes to this section, click Save Settings when finished. o Enable: Check the box to enable wireless networking on your router. o New Schedule: Click this button to set a new schedule rule. change it to a name that you can easily remember. 802.11b/g/n mixed mode) for the best compatibility. connect wirelessly at 802.11g or 802.11b. supported wireless devices from obtaining higher performance and data rates. performance and data rates of 802.11n. to a wireless network that is set to 802.11n only mode. wireless network that is set to 802.11g only mode. вЂў 802.11 Mode: Select the appropriate mode for your network. to connect to the router in addition to newer 802.11n devices. they will no longer be able to connect to this router. automatically select the best Channel for wireless communication. least used by neighboring wireless networks. note that it is best that this setting remains on the default setting of Best. 802.11n. Select the appropriate channel width for your wireless network. are several wireless networks in the area. substantial performance increases when connecting to an 802.11n client. and media files on your computers, network storage, and printers. 2. Click on Access and click on Guest Zone. name (also called SSID) broadcasted by your router. or off on your router. 3. Review the Guest Zone settings, click Save Settings to continue. guest zone enabled always or select a schedule rule in the pull down menu. guest to only have access to the Internet. minimize the amount of obstructions between them. home, and near the ceiling, if possible. signal strength to determine the ideal position. wood, glass or even furniture may block or degrade the signal. orientation for your wireless devices. generates RF noise, such as microwaves, radios and baby monitors. values. Changing these settings incorrectly can degrade performance. routerвЂ™s wired or wireless network. determine which MAC addresses you do not want to allow access. Add the MAC addresses to the MAC Table first before applying the MAC filter function. addresses listed and deny all others unlisted. вЂў Check box: Check the box to enable rule. вЂў Schedule: Select Always to have rule always on or select a schedule rule. computer or device documentation to find the MAC address. 3. Review the MAC Filter options. вЂў Turn Off: Disables MAC address filter. access the local network (LAN/WLAN), web management, and the Internet. the URL or on the web page. 2. Click on Access, click on Parental Control. Click Save Settings to apply rule. (used or required by a specific application) to the Internet. 2. Click on Access, click on Protocol/IP Filters. Click Add to apply rule. 3. Review the Domain/URL blocking options. вЂў Turn Off: Disables Website Filter address filter. network (LAN/WLAN), web management, and the Internet. вЂў Deny computers access only the websites listed below. 4. Enter the website you would like to apply. вЂў Name: Enter the name of the rule to apply. вЂў Action: Select the action to apply to the rule. вЂў Website URL: Enter the website URL you would like to filter. o Deny: Denies the listed IP address. вЂў Subnet Mask: Enter the subnet mask of the IP address. will be referenced frequently in this UserвЂ™s Guide. go to http://192.168.10.1. Your router will prompt you for a user name and password. the default user name and password and then click Login. 2. Click on Main, and click on Password. 4. To save changes, click Save Settings. management page using the User Name вЂњadminвЂќ. identify the router. Click Save Settings to apply changes. 2. Click on Main, and click on WAN. by your Internet Service Provider (ISP). 4. Complete the fields required by your ISP. 5. Complete the optional settings only if required by your ISP. 6. To save changes, click Apply. manually enter it into your router using the clone MAC address feature. 3. Under your Internet connection settings, find the MAC Address section shown below. Apply at bottom of the page. currently using or manually enter the 12-digit MAC address of your old router. 5. To save changes, click Save Settings. вЂў LAN IPv6 Address: Enter the LAN IPv6 address. information about the IPv6 service. вЂў LAN IPv6 Link-local Address: This field displays the LAN IPv6 link-local address. 2. Click on Main, and click on IPv6. Connection section. Click Save Settings to continue. SLAAC+RDNSS, SLAAC+Stateless DHCP, and Stateful DHCPv6. only available when Stateful DHCPv6 is selected. appears when Stateful DHCPv6 is selected. IPv6 DNS server IP addresses. this to enter WAN IP information below in this section. вЂў IPv6 Address: Enter the IPv6 address. вЂў Subnet Prefix Length: Enter the subnet prefix length. available when Use the following IPv6 DNS Servers is selected. вЂў Primary DNS Server: Enter the primary IPv6 DNS server address. only available when Use the following IPv6 DNS Servers is selected. вЂў Default Gateway: Enter the default gateway IPv6 address. вЂў Secondary DNS Server: Enter the secondary IPv6 DNS server address. вЂў Address Mode: Select the PPPoE IP address is dynamic or static. Create a new session is selected. when Create a new session is selected. вЂў Reconnect Mode: Select the reconnect mode as Always on, or Manual. вЂў MTU: Enter the Maximum Transmission Unit (MTU) value. вЂў Remote IPv4 Address: Enter the remote IPv4 address. вЂў Remote IPv6 Address: Enter the remote IPv6 address. вЂў Local IPv4 Address: Enter the local IPv4 address. вЂў Local IPv6 Address: Enter the local IPv6 address. вЂў Subnet Prefix Length: Enter the subnet prefix length value. are 6rd DHCPv4 option and Manual Configuration. вЂў 6rd IPv6 Prefix: Enter the 6rd IPv6 address and prefix value. вЂў 6to4 Address: Displays the 6 to 4 IP address. вЂў 6to4 Relay: Enter the 6to4 relay address. вЂў IPv4 Address Mask Length: Enter the IPv4 mask length. вЂў Assigned IPv6 Prefix: Displays the IPv6 prefix. вЂў 6rd Border Relay IPv4 Address: Enter the 6rd border relay IPv4 address. вЂў LAN IPv6 Address: This field displays the LAN IPv6 address. ISP to your computer. If selected, your computer uses the router for a DNS server. match your new router IP address settings. 2. Click on Main, and click on LAN to enter the LAN setting secion. 3. Under Router Settings, enter the router IP address you would like to assign. .
this setting. It is recommended to leave this setting enabled. 2. Click on Main, and click on LAN. 3. Review the DHCP Server settings. вЂў IP Address: Enter the new router IP address. вЂў Subnet Mask: Enter the new router subnet mask. вЂњSpecial ApplicationsвЂќ on page 36). вЂў DHCP Server: Enable or Disable the DHCP server. вЂў DHCP IP Address Range: Enter the start and end for the DHCP server range. asign to computers or devices on your network. вЂў Lease Time: Enter the DHCP lease time in minutes. reallocate the IP address to be assigned to another computer or device. 2. Click on Main, and click on LAN & DHCP Server. 3. Review the DHCP reservation settings. Check box: Check the box to enable rule. Name: Enter a name for the reservation. Static DHCP: Enable or Disable the DHCP reservation feature. IP Address: Enter the IP address to assign to the reservation. (e.g. required to be within the DHCP IP address range (Start IP & End IP). вЂў Add/Update: Saves the reservation. have been created in this list. enable employees to work from their remote office/home office, or while traveling. other and automatically open the connections or services for specific applications (e.g. connections through your router as they are needed. 2. Click on Access, and click on Firewall & DMZ. 2. Click on Access, and click on Advance Network. Note: It is recommended to leave these settings enabled. 3. Next to UPnP, click Enabled or Disabled to turn the feature on or off on your router. communication between your computers or devices and the Internet. 4. To save changes, click Apply. other devices on your local area network. the Server Address drop-down list. вЂў Wireless Enhanced Mode: Click box to enable wireless enhanced mode. 1. Sign up for one of the DDNS available service providers list under Server Address. 2. Click on Access, and click on Firewall & DMZ. Click box next to Enable SPI. 4. Next to DDNS, click Enabled. router or wireless network password) for which you have signed up to. вЂў Timeout: Enter the time duration of the Dynamic DNS feature. then need to configure the daylight savings start and end date/time. 5. Select which option you would like to apply for time settings. вЂў Automatic: Click the box to enter the NTP server to use. 2. Click on Main, and click on Time. 2. Click on Tools and click on Schedule. 3. Review the Schedule settings. Click Add to save settings. has a fixed IP address) (see вЂњSet up DHCP reservationвЂќ on page 29). provide identification of the routerвЂ™s network from the Internet. 3. Click on Access, and click on Firewall & DMZ. вЂў Name: Enter the name for the time and date schedule. вЂў Days(s): Click the All Week radio button to use all the weekdays for this schedule. Click the Select Day(s) radio button to use only the selected days in the week. to select which day of the week to be used. вЂў All Day вЂ“ 24 hrs: Select this option use all the hours in a day. вЂў Start Time: Enter the starting time of a day when the schedule to begin. вЂў End Time: Enter the ending time of a day when the schedule will end. using the Virtual Server, Special Application, method (DMZ NOT recommended). 4. Next to DMZ Enable, click Enabled. device to expose to the Internet. 6. To save changes, click Save Settings. reservation to ensure the IP address of the device does not change. your network to be able to view it over the Internet. вЂў Public Port: Enter the port number used to access the device from the Internet. select Both to choose both TCP & UDP (recommended). 2. Click on Access, and click on Virtual Server. to determine which ports and protocols are required. connecting deviceвЂ™s documentation for reference to the network port(s) required. 1. Setup DynDNS service (See DynDNS section). use the DHCP reservation feature (see вЂњSet up DHCP reservationвЂќ on page 29). 3. Review the virtual server settings. on page 22).5. Click on Access, and click on Virtual Server. вЂў Enabled: Check the box to enable rule. вЂў Name: Enter a name for the virtual server. вЂў IP Address: Enter the IP address of the device to forward the port (e.g. 5. Click box to enable rule. 6. Next to Name, you can enter another name for the virtual server. 9. Next to Schedule, select Always to have rule always on. 10. Next to Inbound Filter, select Allow All. 11. To save the changes, click Save Settings. 3. Review the Port Forwarding Rules settings. to be able to view it over the Internet. вЂў Name: Enter a name for the port forwarding rule. вЂў Trigger Port: Enter the port number used to trigger the application rule. access for applications. See вЂњEnable/disable UPnP on your routerвЂќ on page 30.
supports UPnP first, before configuring this feature. 2. Click on Access, and click on Special AP. office or another location while away from your home. 3. Under the Enable Remote Management section, click the box to enable setting. 3. Review the special application settings. вЂў Name: Enter a name for the application rule. вЂў Port: It is recommended to leave this setting as 8080.
as virtual server or special application, please change the port to use. to access the other network. 2. Click on Routing, and click on Static. 2. Click on Access, and click on Internet Bandwidth Control. 3. Review the Internet Bandwidth Control settings. Click Save Settings to apply changes. вЂў Enable: Enable or Disable the Internet Bandwidth Control through the router. option from the drop-down menu. download speed option from the drop-down menu. 3. Review the static route settings. Click Save Settings to apply rule. вЂў Name: Enter a name for the routing rule. 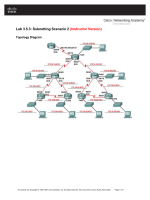 вЂў Network Mask: Enter the subnet mask of the destination network for the route. вЂў Gateway Address: Enter the gateway to the destination network for the route. вЂњBackup and restore your router configuration settingsвЂќ on page 39. There are two methods that can be used to reset your router to factory defaults. accessing your router management page. the unit for the default wireless information. 2. Click on Tools and click on Restart. prompted to confirm this action, click OK.
label, located on the bottom of your router. restoring from a backed up router configuration file. 3. Under Save Settings to Local Hard Drive click to Save Configuration, click Save. 3. Under Load Settings From Local Hard Drive, click on Browse or Choose File. 1. If a firmware upgrade is available, download the firmware to your computer. press the Reset button during the upgrade. is connected to a power source or ensure that the battery is fully charged. restore and click Load. (Default Filename: cfg.bin). If prompted, click Yes or OK.
5. Wait for the router to restore settings. вЂў Router Management Page вЂ“ This is also known as a soft reboot or restart. 4. Depending on your web browser, next to Upload, click Browse or Choose File. 6. Click Upload. If prompted, click Yes or OK.
2. Click on Tools and click on Ping Test. and have attempted all other troubleshooting. There are two methods that can be used to restart your router. rear panel of your router, see вЂњProduct Hardware FeaturesвЂќ on page 5.
connected to your network. Click Back to bring you back to the Ping Test page. router management page. This is also known as a hard reboot or power cycle. 2. Click on Status and click on Device Information. 3. Review the device information. вЂў Time: The current time of your router. without a restart/power cycle (hard or soft reboot) or reset. вЂў Firmware Version: The current firmware version of your router. router port or interface configuration. вЂў IP Address: Displays your routerвЂ™s current IP address. вЂў Subnet Mask: Displays your routerвЂ™s current subnet mask. provides a link to the DHCP client listing. вЂў Connection Type: The WAN/Internet connection type your router is using. вЂў Cable Status: The status of your network cable on your Internet/WAN port. provide the option to Release and Renew your IP address settings. вЂў Connection Up Time: Display the duration of your routerвЂ™s Internet connection. router or for troubleshooting purposes. 2. Click on Status and click on Log. 4. Review the device log information. вЂў Wireless Radio: The status of your wireless radio. вЂў 802.11 Mode: Displays the 802.11 mode of your router. вЂў Channel Bandwidth: Displays the channel bandwidth of your router. вЂў Channel: Displays the channel of your router is operating in. вЂў Network Name (SSID): Your routerвЂ™s wireless network name or SSID. вЂў Wi-Fi Protected Setup: The status of your routerвЂ™s Wi-Fi Protected Setup (WPS). set the router date and time correctly. вЂў Security: The wireless security type applied to your router. вЂў Message вЂ“ Displays the log message. вЂў Guest Zone Wireless Radio: Displays the status of the routerвЂ™s guest network. вЂў Guest Zone Network Name: Displays your routerвЂ™s guest networkвЂ™s name. вЂў Guest Zone Security: Displays the security type of your wireless guest network. вЂў First Page: Displays the first page of the log. вЂў Last Page: Displays the last page of the log. вЂў Previous Page: Display the log page previous to the current. вЂў Next Page: Displays the log page next to the current. 5. To save current logs to a local hard drive, click Save. (also known as Syslog server) so you can check it periodically while away from home. You may also want to only see specific categories of logging. 2. Click on Status and click on Log Setting. 3. Click box next to Enable Email Notification. purposes when checking your e-mail. вЂў To Email Address: Enter your e-mail address. вЂў Email Subject: Enter the subject of the email logs. вЂў SMTP Server: Enter the IP address (e.g. 10.10.10.10) or domain name (e.g. 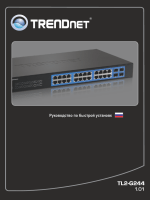 mail.trendnet.com) of your e-mail server. authentication. If not, leave this setting to Disabled. вЂў Account: Enter your account user name for your e-mail service. 4. Review the e-mail log settings. вЂў Password: Enter your password for your e-mail service. router internal log is full. You may want send your router log to a syslog server. on your computer that will assigned as the syslog server. 2. Click on Tools and click on Syslog. You may want to check your router packet statistics for informational purposes only. 3. Click box next to Enable Logging to Syslog Server. can also select your computer from the drop down list. 2. Click on Status and click on Statistic. вЂў Refresh: Click to refresh the list. вЂў Refresh Statistics: Click to refresh the list. вЂў Reset Statistics: Click to clear the current list. 2. Click on Routing and click on Routing Table. 3. The table displays the amount of current active session on your router. 2. Click on Status and click on Active Session. You may want to check all the devices connected to your router. You may want to check your routerвЂ™s IPv6 status. 3. The table displays all devices connected to your router. 2. Click on Status and click on IPv6. You may want to check the wireless devices connected to your router. 2. Click on Status and click on Wireless. 3. The table displays the all wireless clients connected to your router. 1. Check your hardware settings again. See вЂњRouter InstallationвЂќ on page 8. 2. Make sure the LAN and WLAN lights are lit. automatically or DHCP (see the steps below). 5. Press on the factory reset button for 5 seconds, the release. a. Go into the Control Panel, click Network and Sharing Center. b. Click Change Adapter Settings, right-click the Local Area Connection icon. c. Then click Properties and click Internet Protocol Version 4 (TCP/IPv4). d. Then click Obtain an IP address automatically and click OK.
a. Go into the Control Panel, click Network and Internet. c. Click Internet Protocol Version (TCP/IPv4) and then click Properties. b. Right-click the Local Area Connection icon and the click Properties. c. Click Internet Protocol (TCP/IP) and click Properties. connection. How do I find out? Contact your Internet Service Provider (ISP) for the correct information. Q: The Wizard does not appear when I access the router. What should I do? 1. Click on Wizard on the left hand side. the message and select Always Allow Pop-ups from This Site. 3. Disable your browser's pop up blocker. Q: I went through the Wizard, but I cannot get onto the Internet. What should I do? computer (without the help of the router) can access the Internet). 2. Power cycle your modem and router. Unplug the power to the modem and router. to fully boot up, and then reconnect the power to the router. Internet connection settings is correct. Q: I cannot connect wirelessly to the router. What should I do? 1. Double check that the WLAN light on the router is lit. the power back in to the router. 2. In the dialog box, type cmd to bring up the command prompt. 3. In the command prompt, type ipconfig /all to display your IP address settings. 1. Navigate to your Applications folder and open Utilities. 2. Double-click on Terminal to launch the command prompt. or wireless IP address settings. 2. In System Preferences, from the View menu, select Network. modem). If you are connected, you'll see your IP address settings under "Status:"
1. From the Apple menu, select Location, and then Network Preferences. your network status and your IP address settings displayed. a. From the Apple, drop-down list, select System Preferences. b. Click the Network icon. c. From the Location drop-down list, select Automatic. d. Select and view your Ethernet connection. In MAC OS 10.5/10.6, in the left column, select Ethernet. e. Configure TCP/IP to use DHCP. getmac вЂ“v to display the MAC addresses only. 2. From the Show menu, select Built-in Ethernet. 3. On the Ethernet tab, the Ethernet ID is your MAC Address. 2. Select Ethernet from the list on the left. How to connect to a wireless network using the built-in Windows utility? connecting to a wireless network using the built-in utility. connect to, then click Connect. 4. You may be prompted to enter a security key in order to connect to the network. 5. Enter in the security key corresponding to the wireless network, and click OK.
1. Open Connect to a Network by clicking the Start Button. 2. In the Show list, click Wireless. would like to connect to. 3. You may be prompted to enter a security key in order to connect to the network. 4. Enter in the security key corresponding to the wireless network, and click Connect. minimum distance 20cm between the radiator & your body. normal use and service, for the following lengths of time from the date of purchase. contact the point-of-purchase for their return policies. TRENDnet pursuant to any warranty. limited to, duty, tax, and other fees. 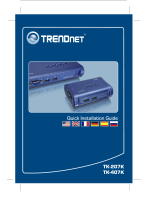 OR USE OF TRENDNETвЂ™S PRODUCTS. ACCIDENT, FIRE, LIGHTNING, OR OTHER HAZARD. Some TRENDnet products include software code written by third party developers. and look for the desired TRENDnet product to access to the GPL Code or LGPL Code. specific terms of each license.